Want to know how good mood food can affect your weight? ‘Baby steps’ If you have a lot of weight to lose and it can be overwhelming to think about how much you ant to lose in total. Break it down and think about what you want to achieve in a smaller time frame. It can also be useful to not focus on weight so much, but just eating more healthily and getting some exercise. Start with increasing the amount of plant-based foods you eat. Increase your intake of fruits, veggies, pulses and whole grains, nuts and seeds and cut back on the processed foods and animal foods. Break the cycle of emotional eating. Many people crave food when they’re not hungry. Take a moment to recognise this and to ask yourself what you’re feeling. I encourage everyone to find a distraction that works for them. This could be anything from doing some exercises to having a chat with a friend. You can retrain yourself to break the habit of eating when you’re not hungry. It’s a habit that can be replaced by a more useful one that is going to help you reach your goals. Be patient and keep practising 😊. It can be all too easy to just grab what you can when you’re out and about and hungry. With a bit of planning your healthy eating needn’t go off track. Let me give you my best weight-loss friendly snacks that aren't just nutritious but also delicious and easy to make! These foods are nutrient-dense whole foods where a little goes a long way; foods that contain protein and/or fibre. Well as the carol goes it should be ‘jolly’. But how many of you find it all a bit stressful? Extra alcohol, lack of routine, lots of food being offered to you, plus the stress of doing so much and worrying about everyone else can play havoc on your healthy eating. 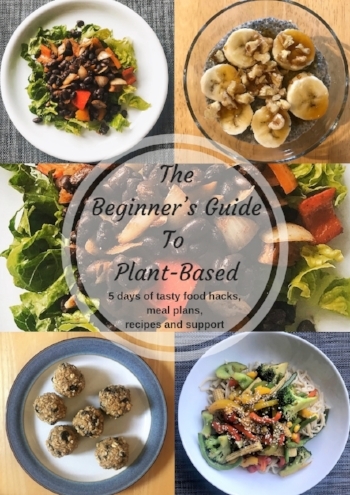 Maybe you’ve started to eat better, you’re eating a lot more plant-based now and maybe you’re losing weight. Nourishing your body with a wholefood plant-based diet is key to good health, but are you active and doing some exercises too? Although you can lose weight without exercising it really has so many health benefits to offer – mental as well as physical. Cravings can be triggered by many things including; sights, sounds, aromas, environment, stress and more. A perfect example of this is a typical trip to the supermarket with the smell of freshly-baked bread wafting through the shop or popping to a coffee shop and the cakes and muffins are all neatly on display, right in front of you when you’re in the queue! Haven’t changed anything in your diet but getting bigger? As we age people will commonly experience lower energy levels, more digestive discomfort and weight gain, as well as aches and pains. Eat a variety of nutrient-dense whole plant foods; this doesn't just help reduce stress hormone, it helps all aspects of your health. Lower your cortisol levels with leafy greens, whole grains, berries, beans, nuts and seeds – especially walnuts, milled linseeds and chia seeds. Plus, a bit of dark chocolate – not the sugary, milky kind, can even help you to unwind too. It would also appear that the standard Western lifestyle could be the main driver of gut inflammation. A diet which is low in fibre, high in sugar and saturated fat, plus high consumption of alcohol along with high levels of stress, could all be a factor. You may not realise how important breakfast is if you’re trying to lose weight. Skipping breakfast means you’re much more likely to reach for the high sugar, high fat snacks when your energy plummets mid-morning. Breakfast is not the time to try and shave a few calories off what you’re eating. Lots of foods will have words like ‘reduced fat’ or ‘less sugar’ and these are used to make you think it’s a healthy choice. If it says ‘reduced’ or ‘less’ it just means there’s less than in the original version. It might be a healthier choice, but not necessarily a healthy choice. In a reduced fat food there could still be a lot of sugar or salt for example. And something which is ‘less salt’ could still have a lot of sugar or fat. People eat too many calories, not because they're hungry, but because they feel sad, lonely, or bored. Or maybe because they're tired or stressed. Or maybe even because they're happy and celebrating. All these feelings interact with our gastrointestinal, nervous and hormonal systems; all of which influence our calorie intake.